Every March 16th, hosts Boone and Erickson would tell the "ancient story of how St. Urho drove the grasshoppers out of Finland." I was not a believer. 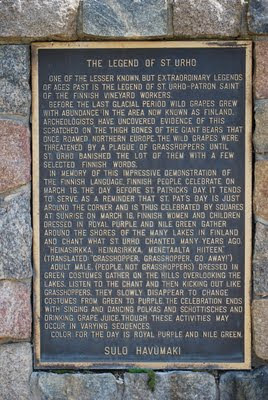 St. Patrick and snakes in Ireland, maybe, but St. Urho and the grasshoppers? Surely, a myth! 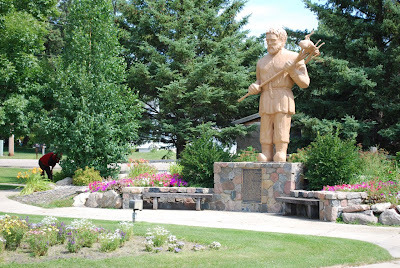 Now, as I pulled into Menahga, Minnesota, I noticed a large statue and commemorative plaque set in a carefully landscaped park. What's this? I pulled around behind the statue and walked up to have a look at this neat little monument. Well, here he is! St. Urho complete with a grasshopper impaled upon his trident. The story is recorded in bronze. And for more details, there is a full museum. Moral to the story? Don't be a skeptic when you hear the locals describing their cultural background. This monument even rates an entry on the marvelous Roadside America site. 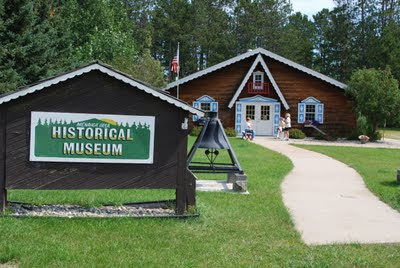 After breakfast and a walk around Sauk Centre, it was time to head north toward Bemidji and The Lost 40. While Sauk Centre shows us main street in small town America, highway 71 shows us agricultural America in some unique ways. 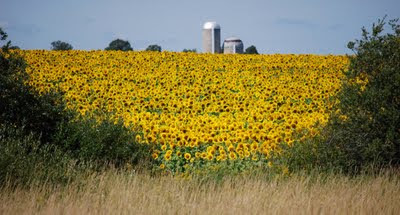 While you see the conventional fields of corn and grain, the things that really catch your eye are the sunflowers and gladiolas. 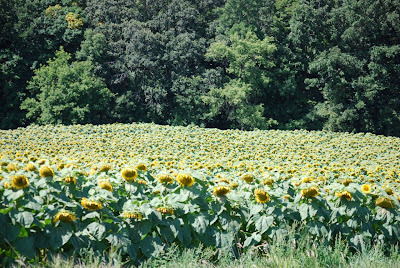 This field of sunflowers appeared a bit sad and pessimistic. 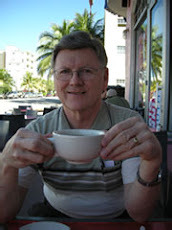 While this one was full of vigor and optimism. 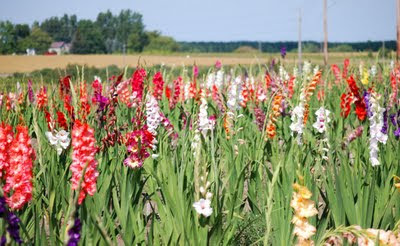 But this field of Gladiolas got me to backtrack a bit and stop. The towns that I passed through included Round Prairie, Long Prairie, Eagle Bend and Wadena. Several had beautiful churches. This area was, in large part, settled by Polish immigrants in addition to the usual Scandanavian and German mix found in much of Minnesota. 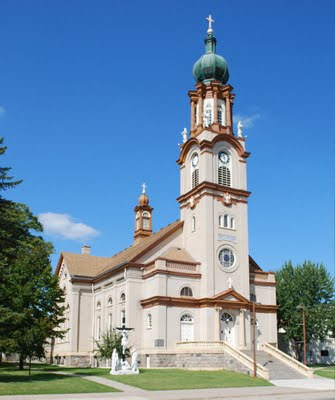 The Polish left their mark in the form of large Catholic churches such as this one at Browerville. 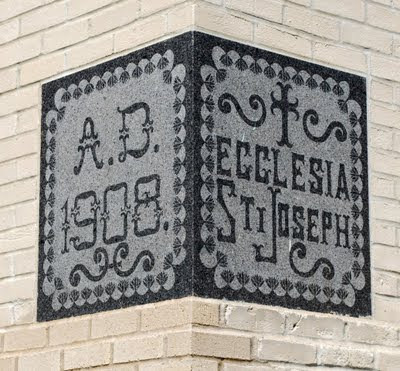 Founded originally as St. Joseph's it was combined with St. Peter's , a German parish also of Browerville, and given the neutral name, Christ the King.